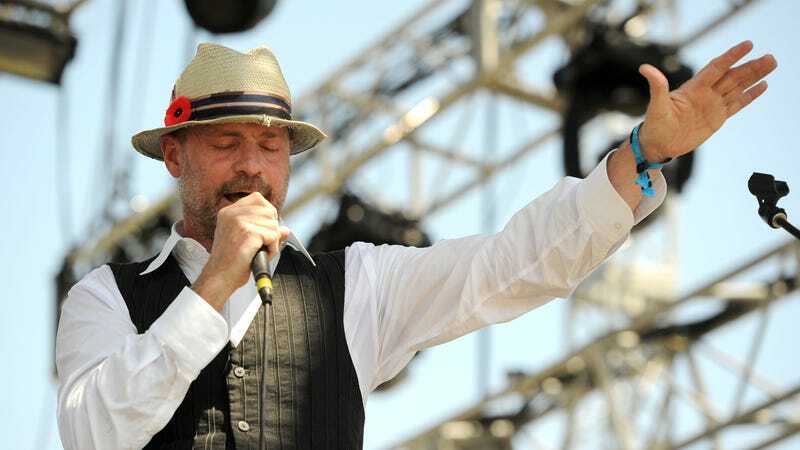 Rock poet and Tragically Hip singer, Gord Downie, whose evocative lyrics helped define Canada, has died at age 53. Downie was diagnosed with terminal brain cancer after suffering a seizure during a walk in his hometown of Kingston, Ontario in December 2015. According to a statement from his bandmates, he passed away on Tuesday evening surrounded by his family. “Gord knew this day was coming — his response was to spend this precious time as he always had — making music, making memories and expressing deep gratitude to his family and friends for a life well lived, often sealing it with a kiss… on the lips,” said the statement. “He loved this country with everything he had… He loved every hidden corner, every aspect of this country,” an emotional Prime Minister Justin Trudeau said, tears streaming down his face. After decades of making music, Downie’s doctors made public his condition in May 2016, saying he had rebounded after undergoing surgery and chemotherapy but that the cancer was “incurable,” prompting an outpouring of support. On the same day, the Tragically Hip announced a farewell tour. Downey’s final concert in August was broadcast live across Canada. Its discography sold more than eight million copies, appealing to partiers and intellectuals alike. Downey’s lyrics — steeped in Canadiana — explored the wrongs perpetrated against indigenous peoples, environmental causes and the plight of the wrongfully convicted. In 2005, The Tragically Hip was inducted into the Canadian Music Hall of Fame and four years ago was featured on a Canadian stamp.